FeedBack ( 0) View photos of the property at www.tourbuzz.net/public/vtour/gallery/365589 . Don't miss this lovingly cared for Whitehawk Ranch town home. Featuring 3 expansive bedrooms, each with private en-suite baths, a spacious kitchen with ample storage space, this 2,110 sq. ft. home provides plenty of room for friends and family! The deck allows for plenty of outdoor entertaining space while overlooking a common greenbelt. 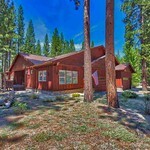 Whitehawk Ranch offers an equestrian center, golf course, swimming pool, tennis courts a clubhouse and peaceful living all within an hour from Reno and Lake Tahoe!See www.carolmurrayrealtor.com/ about this home/land.